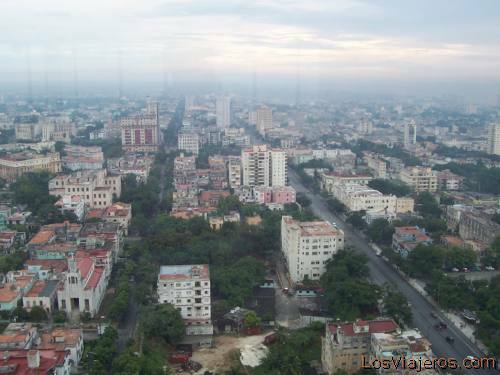 Vista general de la Habana -Cuba: La Habana es una sorprendente ciudad de mas de 2 millones de habitantes. Genearl View of Havana city - Cuba: Havana is a amazing town with more than 2 million of inhabitants. Old Havana (Spanish: La Habana Vieja) is the original part of the city of Havana, bounded by the line of the city walls. This is a UNESCO World Heritage Site. Fotos de Cuba: Fotografias de Viajes por Cuba: Habana y Varadero. Habana Vieja, El Vedado, Matanzas, Sierra Maestra en Santiago de Cuba. Photos of Cuba: Pictures of Travels in Havana and Varadero. Old Havana, El Vedado, Matanzas, Sierra Maestra in Santiago of Cuba.